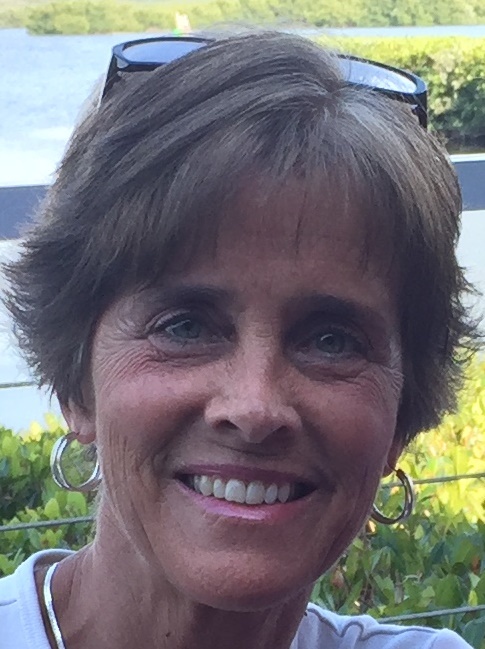 ...Enjoying Life...: Blog Hop - 5th Anniversary of A Blog Named Hero! Sharing the little things that make me happy. 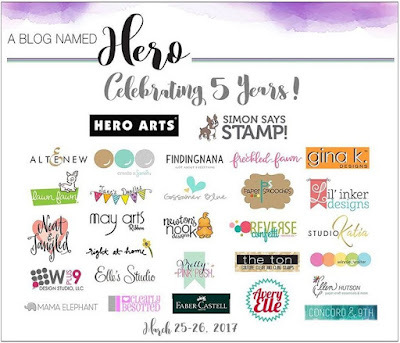 Blog Hop - 5th Anniversary of A Blog Named Hero! Welcome to my stop in the celebration of A Blog Named Hero's 5th Anniversary, two-day, blog hop! If you're following along, you should have come from the sweet, fun and talented, Libby Hickson's blog. If you find a broken link, you can head to A Blog Named Hero's blog to see the full list of hoppers. A Blog Named Hero is so thankful for our wonderful sponsors and collaborating companies! Several companies decided to help us celebrate our fifth anniversary with giveaways and they were so generous that we decided to spread the love over both hop days with different prizes to be won each day! Giveaway prizes total more than $500! To win, leave a comment on each hop stop. We will select winners randomly from different blogs, so the more blogs you visit each day, the greater your chances of winning! And be sure to visit the Saturday post from A Blog Named Hero for the list of Saturday hoppers and prizes! Comments must be left before 11:59 PM EDT on Tuesday, March 28th and winners will be announced on March 30th. Is that awesome or what?!! Good luck everyone! They wanted us to use our favorite Hero Arts products, so when I was looking for a favorite Hero Arts stamp to use, needless to say, I had a difficult time choosing. I finally decided on one of their newer stamps, one in which the, flower-loving-stamper in me adores! It's called, Artistic Dahlia. Of course I had to pull out my Copic Markers. It's my favorite way to color flowers. This stamp is so beautiful and fun to color! You could stamp it and use watercolors, colored pencils, or any number of coloring mediums and get fabulous results! And that sentiment is such a classic stamp. I use it all the time! Please remember this is a two-day blog hop which started yesterday. There are different prizes to be won each day, so be sure to comment on as many stops in the hop as you can, for a better chance to win. Now it's time to head over to Betty's blog. I know she'll be sharing something fabulous! I love the colors you chose for this card and the flower comes alive! Absolutely beautiful! Such a pretty and Serena's card... color, sentiment and layout! Beautiful, Barb -my favorite periwinkle! Barb, loving your beautifully colored blooms! What amazing coloring you have done! Absolutely beautiful!! Love the colors used. Absolutely beautiful! Your flowers are beautiful. Any recipient would feel appreciated if they received your card. Really like the look of this card. Pretty colors. This is STUNNING!! I LOVE the colors you used for the flowers. I also liked that you used wooden stamps for this card. Makes me want to pull some of mine out and give them a try!! Thanks for the inspiration!! gorgeous card Barb - and love the design! Beautiful card, Barb! 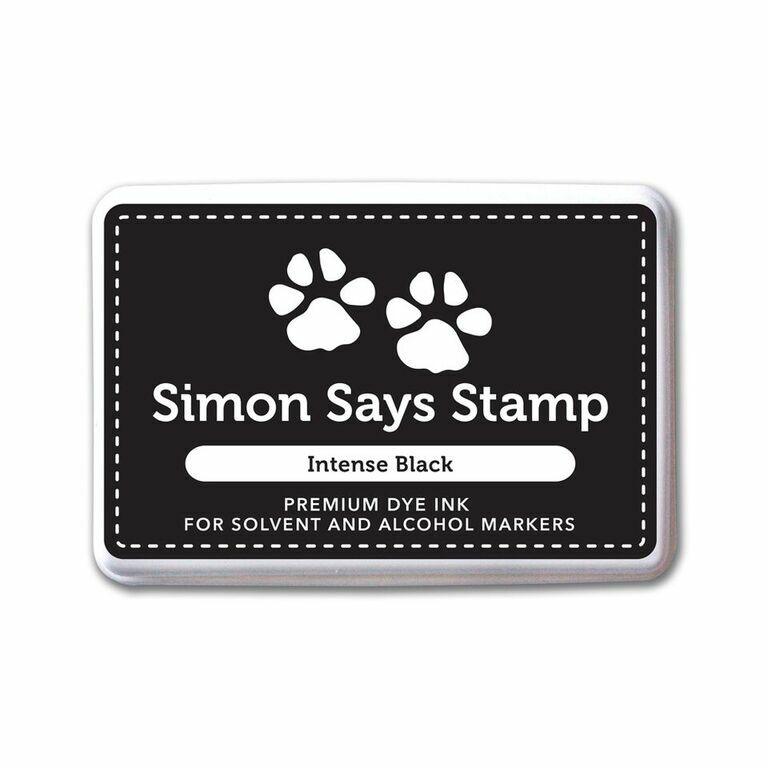 This is a great stamp, but your coloring is just gorgeous and vibrant! Thanks for the inspiration! Love the colors you used in your beautiful blooms; stunning. What a great card. I love the layout of the flowers and sentiments. It is perfect. Happy 5th Anniversary! Thanks for the blog hop. What a lovely card! Beautiful card- so pretty, Barb! Beautiful card. Thanks for sharing and a chance to win the give away. A beautiful card! Your coloring is fabulous! Thank you for sharing! Clean and beautifully done. LOVE IT! Love your colouring and what an awesome card design! Such a lovely card--the image is so versatile for coloring and the sentiment is perfect for this Anniversary celebration. Thanks for sharing it. This is such an amazing flower stamp and your coloring makes it come alive! Very nice blue themed card. The placement of the flowers and sentiment work so well. So beautiful!!! Love those florals! Wow! That's beautiful! Your coloring is perfect! Lovely card. Love your coloring. It's gorgeous Barb!! Love how you colored the Artistic Dahlias!! Your coloring is beautiful. Lovely card. Beautiful card! I love the layout and the little sequin sparkle. Love your blue color choices on your pretty card! Great coloring on a beautiful stamp. Thanks for sharing. Gorgeous card and coloring! Thank you! Delicious coloring...your card really pops! Gorgeous card! Your coloring is amazing! Love the colors! Loving this blog hop with all this talent and inspiration! Thanks for sharing yours! Lovely, glowing with love card! WOWZERS! Beautifully colored. beautiful card! I just love this adorable floral card! Beautiful card. Very impressive coloring. Lovely coloring. I love blues. So realistic looking. Simply beautiful. Such beautiful flowers. Gorgeous card. Beyond gorgeous! I love large flower stamps and this really fit the bill! Thank you so much for posting it! Wow, your coloring is exquisite! Just beautiful. Love how the colors pop. So pretty. Holy cow thats awesome coloring! Do you have tutorials?! Great job!! Purple and yellow, a touch of green. My favorite combo! That blue is gorgeous! Especially with the gold center. Really nice job! I'm such a fan of your beautiful cards, Barb! Your coloring is stunning! Love these so much! Beautiful card; great colouring !! Love everything blue, especially your blue flower! This card just pops. I love it. Love your hydrangeas. Your coloring is lovely. TFS! So beautifully coloured! I very rarely reach for blues when colouring flowers - it's always reds, pinks, purples and yellows... I think it's time to try something new :-) Thanks for the inspiration! Awesome coloring... such beautiful colors! Great job!! Such beautiful coloring! I need that stamp now - thanks for sharing! So pretty Barb ! Happiness always on your 5 year anniversary ! Beautiful job coloring the flowers! Wow your Copic coloring is truly amazing. Your flowers look so real. Thanks for the inspiration and a chance to win. Have a great day. Love the color was that crazy about the flower before but now you made it so pretty. Those flowers & your colors are beautiful! Beautiful card, love the shades of blue you used. Beautiful card....beautiful colors. I wish I could color like you. Beautiful card. Your coloring is awesome. Love the stamp. Very beautifully colored! Love the card! Wonderfully colored. I need to practice more to get even close to this. Fabulous coloring job - it gives so much dimension to the flowers! Such a simple card but so elegant at the same time. Barb, your coloring is spectacular. Your coloring is stunning! I really love how you did it! I gotta say this is really one of the best blog hops I've been on, all the cards have really been beautiful this card is gorgeous - congratulations on these ladies 5th year. Such a beautiful card! Breathtaking! Your coloring is amazing! What a beautiful card, I love the colors of purple, they just pop off the card! Beautiful colors, coloring and card! I really love your coloring technique, and this is the first time I've seen this sentiment stamp. It's going onto my wishlist! Thank you for sharing. Love the colors! Such a gorgeous card! Really cute card! Love the colors. Love the coloring on the card! Very beautiful! Your coloring is gorgeous. The flowers are so realistic I can almost smell them. Absolutely love the blue in this card....my favorite color! So, so pretty! I love the coloring of those flowers. The sequins look lovely. Wow! That coloring is amazing! This is wonderful! I just love the colours that you used, beautiful card. Beautiful flowers love the blue and the yellow centers. Such a pretty card! Wow, I'm really loving the results I've seen with the Artistic Dahlia stamp. Gorgeous! Beautiful card and colors. Thanks for sharing. WHOA, Barb! This is a show stopper, right here! Awesome job! Lovely flowers. A beautiful color. Your card is beautiful. I love the colors you have used and how you make the flowers look so real. Wow, Wow, Wow! The coloring is SO beautiful on these flowers! I love it. You can color. Funny how I seem to tell people that but when it is so real looking. Fantastic. Such a gorgeous card. I love the periwinkle/purple flowers, my favorite color. So beautifully colored. Sooo beautiful! You're coloring is amazing! Obviously this is just beautiful coloring but I think what sets it apart from what the rest of us pass off as attempts is your shadows! That's what really gives it life and makes them pop off the paper!!! Very well done! Stunning! Love this card. Awesome design and your colouring is amazing! The colors you used were stunning. Great card. What can I say, so beautiful. Gorgeous flowers .... love the design too. Wow! What a beautiful color selection and coloring job!! Barb! This card is spectacular. Love everything about it, and that sentiment is one of my favorites! Thank you so much for helping us celebrate at A Blog Named Hero. We appreciate your kind and generous support of us over the years. Nice coloring and lovely sentiment! The Dahlia is such a regal flower to me and I must say you really did it justice in my book! Absolutely gorgeous! Such a lovely card, I love dahlias and the colours you chose! Stunning! Your coloring just beautiful! Your copic coloring is beautiful. I love the colors you used! Your color choices are amazing and spot on. You achieved so much depth with your coloring. Fabulous post! Love your coloring on the blooms! What a fabulous color. Thanks for hopping on the celebration of our Hero. Very realistic flowers! My mom used to grow lots of dahlias, but I've never tried them. Gaaaah! 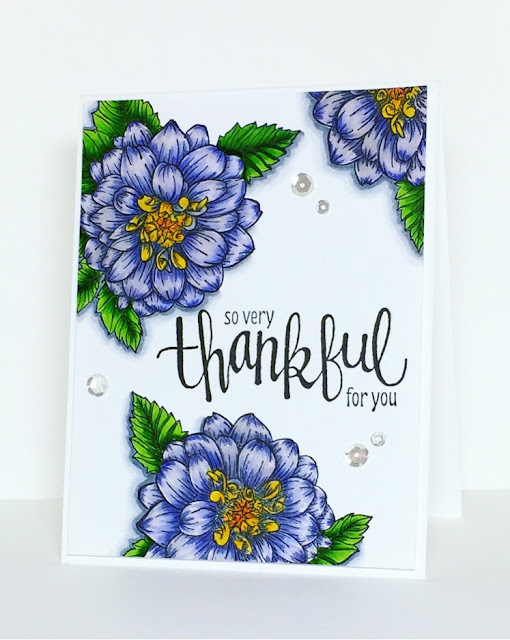 Your blue flowers are stunning...making for a gorgeous card. BTW, love your blog header, too. Loved this card- thanks for sharing! Your dahlias r beautiful. You've made a lovely card. What a great card. Thanks for sharing. The card is beautiful. I live the shading and have always been a fan of corals. Lovely card just in time for spring! Beautiful card!! LOVE the color on your flowers!! I love the colors that you used on the flowers. Very inspirational! Really like the coloring & purpleness! Nice card and great job coloring with your Copic markers! Happy blog hopping weekend and congrats to ABNH! The blooms along with the wonderful scripty font on the sentiment is a winner! Awe-inspiring coloring job. And I'm always amazed at the brave people who stamp with wood mounts, since you can't really re-stamp if the first doesn't come out well. Love the card. Beautiful card! Love the design! I can see why this stamp is your favorite. You did a wonderful job coloring it. TFS. Wow, simply beautiful card! Thank you for such an amazing blog hop, the inspiration has been wonderful! Wonderful card and beautiful coloring! Thank you for the chance to win! Welcome to my blog! I hope your visit here brings you a bit of joy! "I love lounging by the window!" I was "SPOTTED" by Simon Says Stamp! This store has everything you need for your paper crafting and stamping! Click badge to join in! Hero Arts is a Fave! Click image to see their awesome products! Best Card Making Classes Ever! Click to check them out. Awesome people who follow me! I Was a Designer in the Spotlight! CAS[E] this Sketch #318 Retro! SSS May Card Kit: So Happy For You, GIVEAWAY, & Limited Edition Mother's Day Card Kit! Paper, Scissors and Superheroes Betsy V.
Zoo animals at Twofer Challenge! Stamping & Sharing-Cearly Besotted-Stephanie W.
Taylored Expressions 10th Birthday Mega Party Blog Hop! blog break. . . .
freshly noted - Suzanne D.
All content, including designs and photographs, on this web site belong to © Barb Engler. They are for your personal inspiration and may not be used unless contacted. Thank You.